Spectacular Beachfront Resort, Private Owner Vacation Rental Condos! Oceanfront luxury at the world-renowned, Whaler Condominiums. 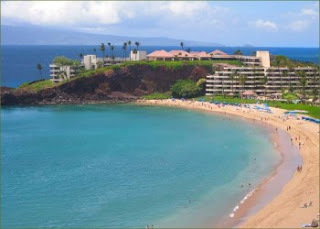 Deluxe, 5-star resort, situated 20-steps from Maui's best beach! The Whaler complex is located on black, rock reef; famous for incredible snorkeling! Northeast Coast of Maui on site sparkling, swimming pool, tennis courts exercise room, Jacuzzi s and saunas! Horseback-riding at new stables, nearby. Walk to finest restaurants and exciting entertainment! Incredible ocean views, colorfully furnished features complete kitchens w/ice making refrigerator, TVs/VCR/music, phone and central air-conditioning! The Whaler is also most convenient to Hana & Hana Cultural Center, Front Street and Lahaina Town, Haleakala National Park, Iao Valley, Kaanapali, Pacific Railroad, and Whalers Village Museum at Kaanapali and Shopping Complex. Located just next door are Kaanapali's two championship golf courses and the eclectic collection of shops, boutiques and restaurants just a few steps along the sand at the Whaler's Village.